Inspirational Winners’ unique style of intuitive coaching is an interactive process that helps individuals and organisations to develop rapidly. We work with clients in any area of their lives during times of change, including business, career, finances, health & fitness, creative projects, life balance and planning and any form of transition. We will work in partnership with you to identify what is required to support you in creating and achieving your personal and professional vision. We are future-focused and challenge the status quo with balance, passion and encouragement. With high energy, intuition, humour and insight, we create powerful and responsive connections with which to move on, so inspiring people to create winning lives. "Listen to Your Body, Open Your Heart, Make the Most of Your Mind & Free Your Spirit"
Applying this holistic ethos, both personally and professionally, we work only as nature intended, so inspiring people to create winning lives. As the founder of Inspirational Winners, Yasmin Dewan is a personal coach who empowers people and challenges convention. She focuses on root cause rather than symptoms, adopting a style that is uniquely intuitive, performance-enhancing and one that serves as a catalyst for change in her clients in terms of positive behaviour, emotional fitness and mental resilience in order to deal effectively with any type of personal or professional transition. With her brother diagnosed with paranoid schizophrenia in 1990, Yasmin has since made it her life mission to support others in the development and fulfilment of all human potential. Totally committed to her passion, she has a holistic approach to coaching, dedicated to developing both people and businesses the way nature would have intended. Instrumental in launching and embedding the “Impossible is Nothing” initiative for The adidas Group, her focus is on embracing and harnessing change through positive action relating to aspirational and motivational thinking. With extensive, hands-on Organisational Development experience gained within a wide range of fast-growing, rapidly changing environments, Yasmin has well over 20 years’ experience in leadership, business strategy, change management and people development - key themes being centred on engagement, integrity, decisiveness, competence and vision. She has a number of corporate clients, together with a thriving private coaching & psychotherapy practice. 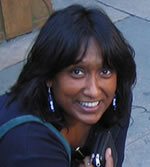 A member of the BACP, Yasmin is CBT trained and holds a Diploma in Advanced TA Psychotherapy. She is a Finance graduate, has a post-graduate qualification in HR Development and is a licensed user of TetraMap, TEIQue, Hogan and the MBTI. As a qualified hypnotherapist, her credentials are endorsed by the IANLPC, the BPS and the Society for Coaching Psychology, all of which supports her extensive knowledge and use of a wide range of psychometric instruments. A member of the Quality & Ethics Committee at the Manchester Institute for Psychotherapy, her work is overseen and bound by the UKATA Code of Ethics and is therefore subject to strict ongoing supervision.